Measuring for blinds is simple and straightforward. It’s important that you give us accurate measurements, so take a look at our handy step-by-step video guides and pdf instructions, which will help you to get it right. The first thing you need to decide is whether your blind will fit to the inside or the outside of your window recess. Once you have decided where your blind will fit, simply watch the relevant video. Measuring for blinds is simple and straightforward. It’s important that you give us accurate measurements, so take a look at our handy step-by-step video guides and pdf instructions, which will help you to get it right. The first thing you need to decide is whether your blind will fit to the inside or the outside of your window recess. Once you have decided where your blind will fit, simply watch the relevant video. Look out for things like window handles or tiles. You’ll need to take their position into account to ensure a perfect fit! Roller blinds do not have headrails. Instead the Roller blind fabric is ‘rolled’ around a barrel of the same width, and control fittings are added to either end. We use the width measurement you provide us with to assemble the barrel and control fittings to the correct size. This means that the fabric of the blind will be narrower than the measurement you provide. 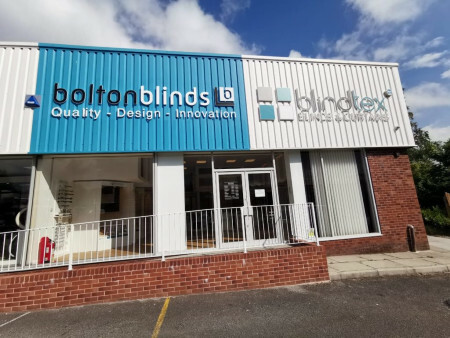 Before you order your blind it is very important for you to check that the fabric will be wide enough to cover the glazed area of your window. This table tells you how much narrower your fabric will be than the top part (the barrel and control fittings) of your blind. When measuring the drop of a Vertical blind, make sure you measure down to the top of the sill or the floor and take note that we will deduct 1cm from your measurement to make sure the louvres operate smoothly. We will do this for both recess and exact measurements.